Hamas and Fatah leaders hold talks in Cairo, as Hamas declares it will work to actualize existing agreements. Reconciliation talks between Fatah and Hamas are being renewed in Cairo under the auspices of Egypt's general security apparatus, in an attempt to implement the provisions of the 2011 reconciliation agreement, focusing on holding general elections for PLO and PA institutions with the participation of Hamas and Islamic Jihad. 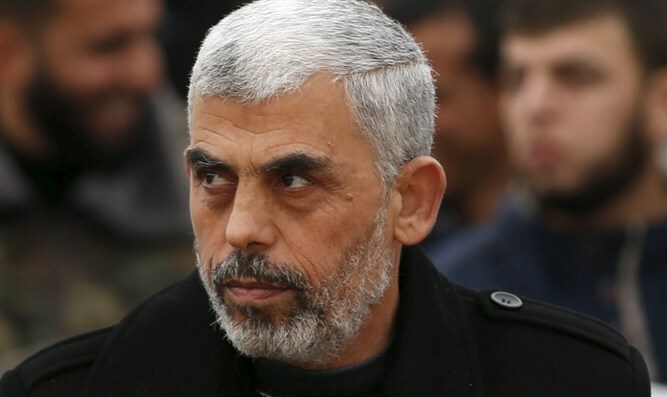 The Hamas delegation includes Hamas leader in the Gaza Strip Yihya Sinwar and his deputy Khalil al-Haya, as well as members of the Hamas political bureau, including Salah al-Aruri, Musa Abu Marzuq, Izzat al-Rishq, Ruhi Mushta, and Hussam Badran. On the eve of the start of the talks, Hussam Badran (quoted by the Al-Risala website) said that the Hamas delegation arrived in Cairo with an open mind, based on the decision by the movement’s leadership to work towards completing the reconciliation process. "The delegation was authorized by the Political Bureau to discuss all the main issues, to make decisions, and to assess the positions if there is a need to make a different decision," Badran said, adding that Hamas was ready to make every effort to bring about the success of the reconciliation initiative.